There are two shipping options: Regular Mail or Courier Service with DHL and ACS. For domestic service in Greece the default option is ACS courier with confirmed 1 Day delivery. the default option is Regular Mail with estimated delivery of 4-8 business days. Courier Service with DHL with confirmed 1-2 Days delivery. If Courier Service is preferred then during checkout select the option “Shipping Arranged after Purchase” and on the remarks request to give you a quote for your order depending on weight. Choosing between a Hard-Bound Logbook or a Logbook Binder to store my flight records. 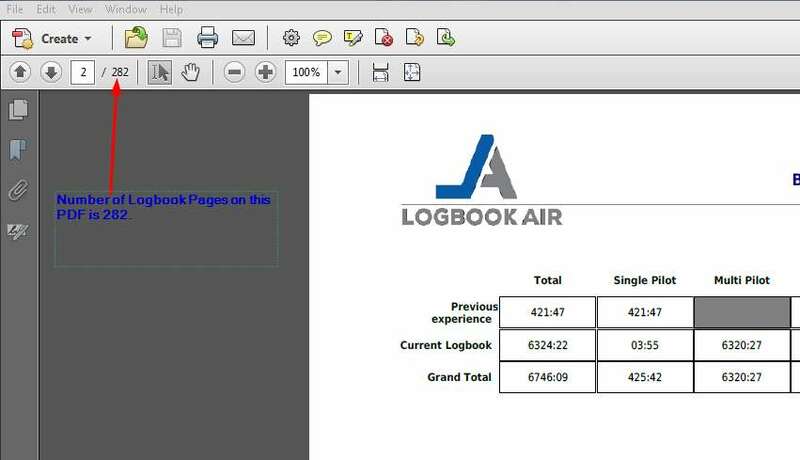 The Pilot Logbook is preferred when you have enough logbook pages to reach the optimum amount for the bound or you are changing airlines and you need to have a logbook with the airline’s flights signed in the last 3 logbook pages. The Binder is best if your logbook pages are not enough to make a logbook or after you have made a logbook (Which includes your flight history), to print at anytime your current flying records at home and take it to an interview or be able to continuously update it until you have enough pages to make another logbook. Usually our customers buy both and thats why we also offer a Combo package with a significant discount. What is the maximum page-limit for a Pilot logbook? The maximum number of pages that can be hard cover bound through our logbook binding process is around 700 which equates to 350 paper sheets. This binding will result in a very thick book of around 2.5 cm and its appearance its not optimum for a Pilot Logbook. We recommend for A4 size logbooks a maximum of 400 pages (200 sheets) and with the optimum number for best logbook appearance between 200 to 250 pages. How long do you need to make a Pilot Logbook or Binder? Pilot Binder 1-2 business days. Pilot Logbook 4-5 business days. If a logbook case is required then an additional day is needed. Can you produce a Binder of the standard Jeppesen size logbook? Yes it is possible to produce a binder of the standard Jeppesen size logbook. One of the issues you are going to face though is to print on a Jeppesen size paper at home. Since most paper in the market are A4 size and home printers are optimum on printing on A4 paper you might experience difficulties in setting up your printer and/or cutting the paper in order to fit on this custom sized Logbook Binder. This is the main reason that we sell our Binders in dimensions suitable for A4 size paper! If you still think that the Jeppesen Size is what you want, then of course you can make a remark while ordering a Binder and we will customize it for you!In addition we can print your logbook pdf file at the appropriate paper size and ship it with your Binder or provide you with blank pre-drilled paper of the appropriate size for your initial printouts. My Electronic logbook has the options for 16,18,20 or 26 rows for Logbook PDF generation. What is the preferred report format for best print result? You can choose any of the above formats and number of rows you like! We will print and bind your logbook at any dimension based on your selected rows. Our Binding is Handmade and completely customized to your personal needs. The only requirement is to allow for a 2 cm margin on the Logbook binding side. Be careful when you include summary pages with flight statistics so that the height of these pages is similar to the height of the logbook pages based on the number of rows selected.